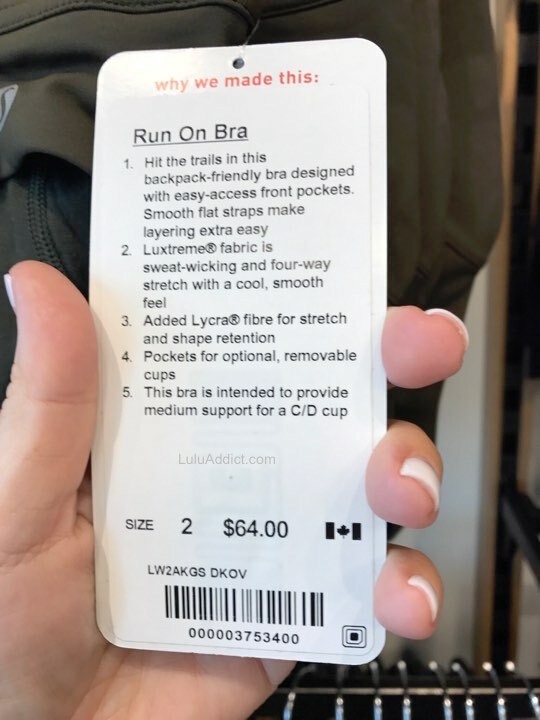 More photos from Ms. K. - Run On Bra in Olive. I hope there will be an Olive Free to Be Serene bra. New Trail Speed Up Shorts. 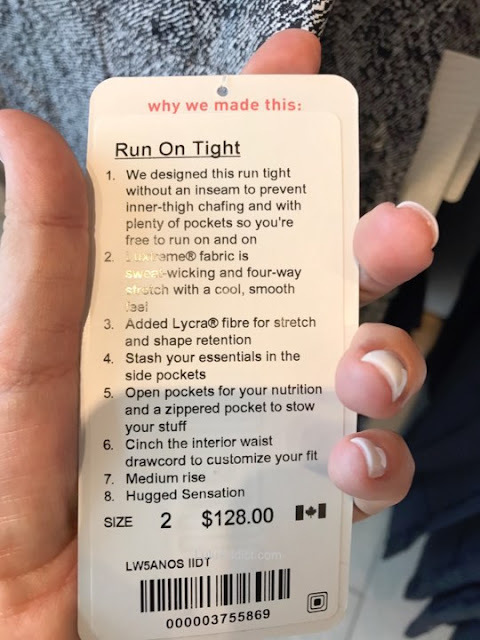 They don't have a back pocket but more pockets in the waistband. There was a dark olive FTBS when they were first released. I have it and wear it all the time. Fingers crossed they re-release it in this color for you. Im excited anout the run on bra. 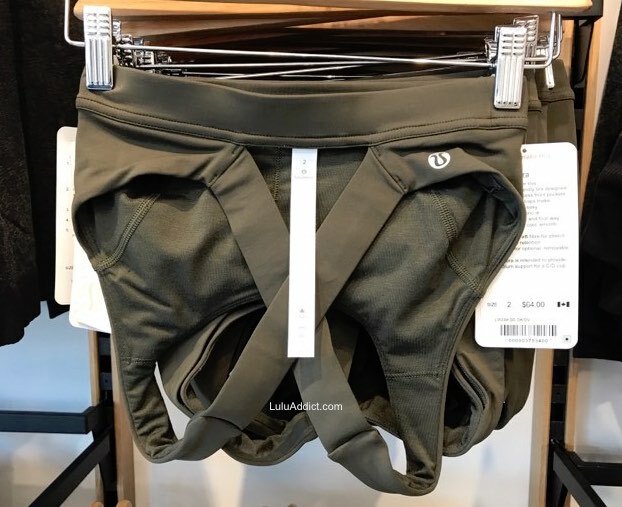 Looks so similar to the all sports bra which i love!! Finally Lululemon releases decent run bra! 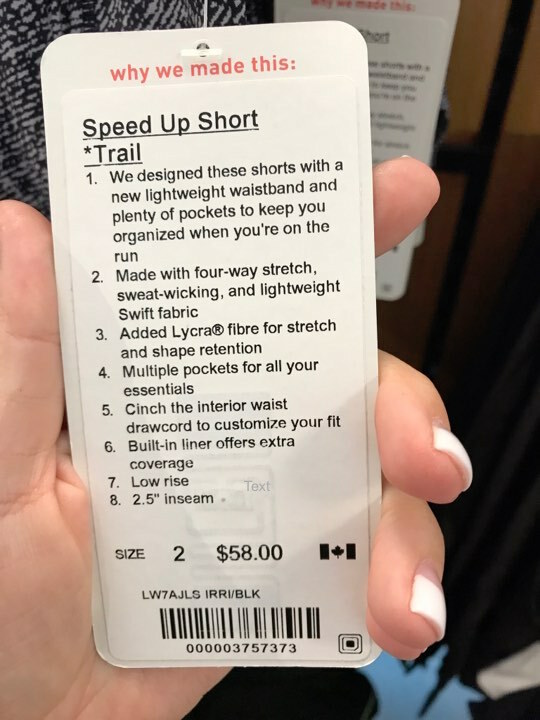 I don't get the "trail" version of the speed up shorts. They took out the rear zip pocket. 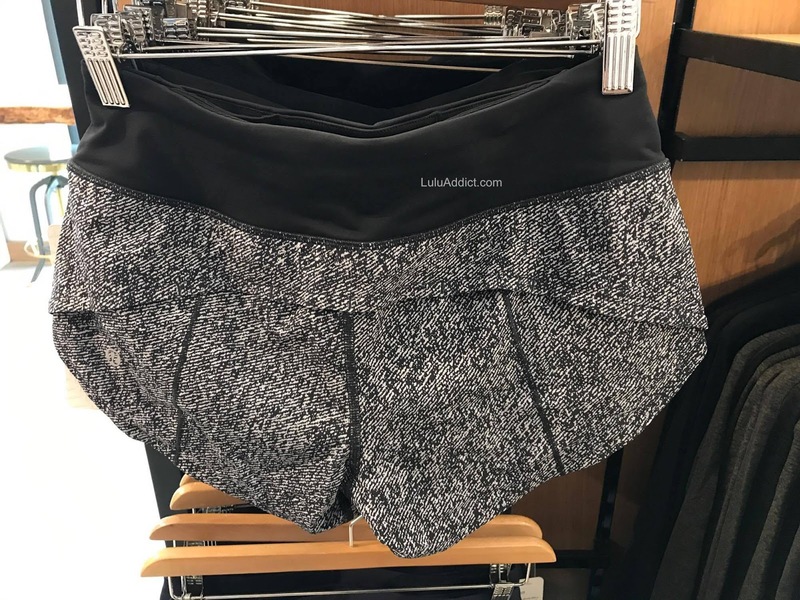 You know, because I don't need to keep an ID or car key zipped up safely when I run trail? Ridiculous. I need that more on trail than street! Because i'm actually driving to the trail vs leaving from my house to run street. I don't understand their thinking on that. Yes, sometimes I use a vest on trail with pockets I can use but not always so always having to haul that for what might be an 8 mile run isn't what I always want to do. I religiously use those rear zip pockets as they are secure and I know I won't be losing stuff out there. 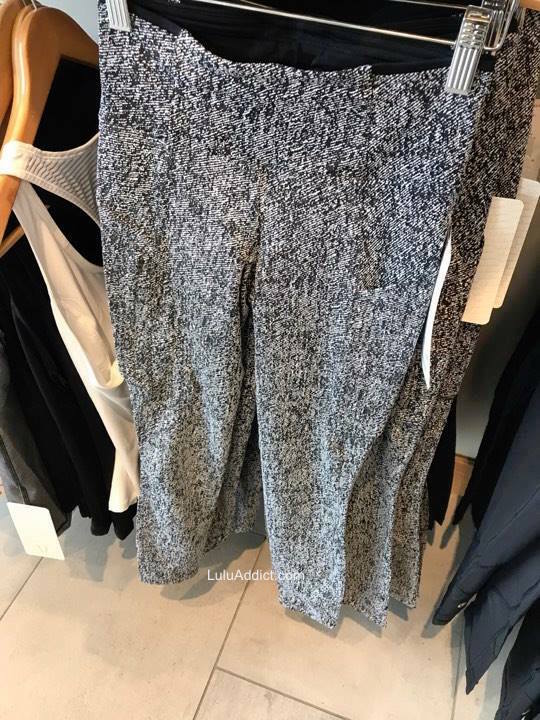 Not like I'd buy these anyway. 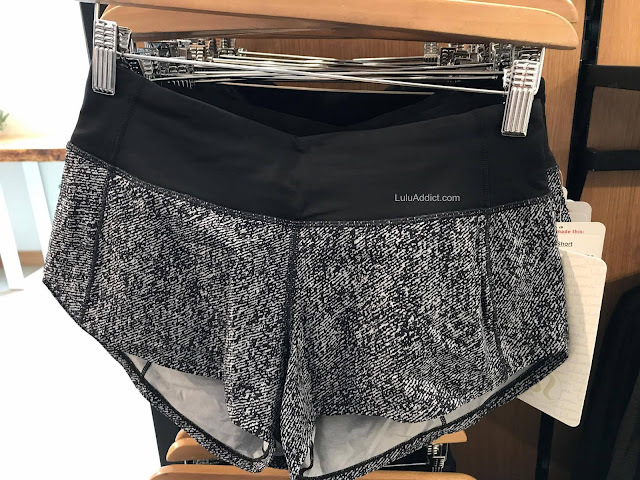 The new Speed Up shorts are horrible on me and I felt very exposed with them on vs my speed shorts. Agree 9:03. 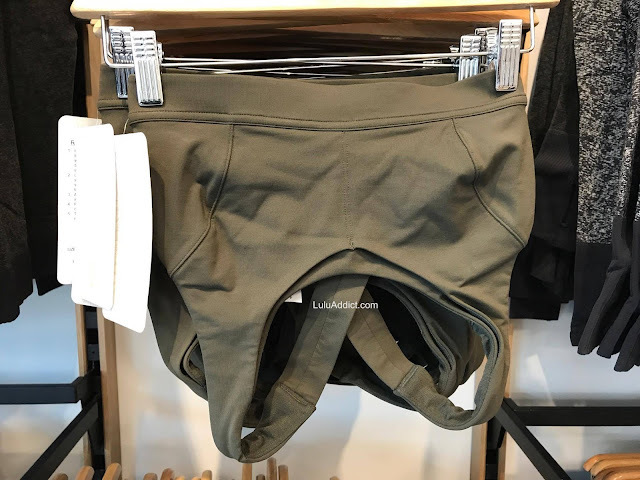 Kinda silly to remove the zipper. If you are doing floor exercises, I can see doing without the zipper, but when you run trails rarely do you lay on the ground to do sit ups or what ever.